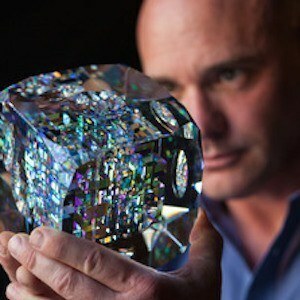 Sculptor whose Spectrum Cube and Tear Drop sculptures were featured in the film Guardians of the Galaxy. He has more than 130,000 followers on his stormsjack Instagram account. He opened StormsWorks Studio in 2004 to create cold glassware. He has created work for Derek Jeter and the Prince of Nigeria. He and Vivian Storms have a son together. He and Rosy Lamb are both sculptors from New Hampshire.